I’m starting this off a little bit different then I normally start when I write my reviews. I hope you enjoy. The 2 tie fighters start off getting into position in the asteroid field. Luke then moves in, scoring 2 hits on “Mauler Mithel”. “Mauler Mithel” returns fire taking out the shields on “Luke Skywalker” X-Wing. “Dark Curse” Joins the fray gets a hit on “Luke Skywalker” X-Wing. The 2 tie fighters once again maneuver into position, “Luke Skywalker” does the same. “Luke Skywalker” opens fire on “Mauler Mithel” scoring 3 hits; “Mauler Mithel” evades one hit but still goes down in a fiery ball of flames. “Dark curse” wanting revenge opens fire on “Luke Skywalker” failing to make any hits. “Dark Curse” attempts to flee, but “Luke Skywalker catches up. “Luke Skywalker” opens fire scoring 2 critical hit and 1 normal hit. “Dark Curse” evades the 1 hit but still receives the 2 critical hits. “Luke Skywalker” draws 2 direct hits, boom “Dark Curse” is blown out of space. Well somehow I gave “Mauler Mithel” a droid, not sure what I was thinking he can’t even take a droid. (Not that it helped) With that aside we had a great time. –	Miniatures are top notch. –	Cardboard Components are nice and thick. –	Cards are nice glossy coated, they should hold up to use. –	Rules are easy to follow. –	Expansion to the system allow for more squad and combination building of abilities. It been said many times in most of the reviews the one starter gets you started, buying a second one will give you more options and purchasing more expansion will open the game up to almost limited possibilities. I hope you found this review a little bit different then my other reviews and that you enjoyed it. Ghost Panzer is the Second in game n the Band of Heroes series. It is somewhat stand alone except for 2 of the scenarios require Band of Heroes: Screaming Eagles for the maps. Other than that the game is pretty much stand alone. It contains 18 scenarios, 2 of which are training and 16 that are historical scenarios. Components are top notch, it has the same artwork as its predecessor (plug, you can see my other review for Band of Heroes: Screaming Eagles). The game system works were players take turns to activate there units. Player activate unit based on scenario specified operations range. For example, a range of 2-4 means you may activate 2-4 units. You must, if possible, activate the minimum number in the range. Units cost one and tanks and guns cost 3 activation points. When you activate a unit you may either move or fire, Assault Fire it or, you may mark it “Op Fire” (for opportunity fire). Once you move or fire a unit it is used and can generally only do Final Op Fire against units that enter an adjacent hex. Stacking is limited: two squads or two weapon teams or any combination plus one vehicle, with a gun counting as a squad. In fire combat there’s always only one firer. (So there is no massing of fire power). Anti-infantry fire affects every unit in the target hex. This simulates/encourages the historical practice of dispersion. There is no Combat Results Table. You roll 1d10 and compare to the firing unit’s firepower, as adjusted. Roll less than or equal to the adjusted firepower and you get a suppression. Each target infantry type unit has a casualty rating (two for full strength units) and if your roll plus the casualty rating is less than or equal to the adjusted firepower you can inflict a step loss or elimination. There is a rout phase, failure to rout can cause unit to be eliminated. Melee phase is a deadly in this game, each squad rolls 2d10 and inflicting step losses for each roll of less than or equal to its firepower. Recovery phase allows units to recover from the level of suppression they are at, Red suppression becomes yellow, and yellow suppression goes and Units lose their used markers. Oh, I almost forgot there is also has the same decoy and concealing of units as its predecessor game. Concealing comes into play for units that are in say a building, so a conceal counter is placed on them; then there will be negative modifiers for a unit trying shooting at them. The Decoys come into play based on the OOB for the scenario, these act like units, they move around and get shot at causing them to be revealed. I hope this better summary of how the system works give you a better understanding of the game. It’s a pretty neat and tidy system that is unlike other war games. Also the next game for the series is title Band of Brothers: Texas Arrows, it follows the US 36th Infantry division through Italy, France and Germany during WWII. Well, this is another review of a game I don’t own but a friend does. This seems to be a trend with me lately. Once a month a group of friends meet up at a local gaming store to play Advance Squad Leader. On this particular day though we setup and started to play and we just didn’t have the mindset to play, beside we had made major mistakes in each of our first turns…so we decided to play his recently purchased copy of King of Tokyo that he bought for his upcoming game night. So without any further babble here is my review/thoughts. Difficulty – Pick-up & Play (Can be learnt in 10 minutes), a pretty good filler game. Monster Cut-Outs and Stands: Each monster is represented using a large 2D cut out that slots into a loose fitting stand. The artwork is cartoonish, which fits the theme well. I’m not a big fan of the cut out slotted thing, but this works well for this game. Monster Boards: They Consist Two dials are used to allow players to track their Monster’s health and the number of VPs they have gained as they play the game. The artwork matches with the monster it represents. Dice: The dice are Large. In all there are 8 dice but only 6 are used each turn unless a Power is acquired to gain additional dice. The regular dice are black with radioactive green symbols…of which there are 6 different symbols on each dice. The additional 2 dice use the opposite color scheme…black icons on a radioactive green background. Power Cards: The game comes with 66 Power Cards to enhance your Monster and make it more powerful. Each card features the Energy Cost in the top left corner, at the bottom is listed the type of Power (Keep or Discard) and its effect. In regards to the effect of each card, the symbols for dice icons, VPs, Energy and Health are used instead. This helps in reading each card and knowing what it does. The cards are thin; I think they could have been thicker. I think over time the wear out. Energy Cubes: The Energy Cubes are transparent green, kind of neat. Game Board: The small thick square board simply depicts two circles to represent Tokyo and Tokyo Bay and the artwork that adorns the board shows the city being devastated by fire and flame. Tokens: Some of the Power Cards have effects that must be tracked, these are used to do that. They have some artwork that links them back to their card, making it easier to know which card they belong to. Rules and Tray Insert: The rule are in color and easy to follow. The rulebook has examples to help explain game play. The box has a tray insert that function well to hold the game components. I’m not going to hash out detail game play, there are a bunch of other reviews here that do that. What this game brings back is the memories of when I was a kid and every Saturday I watch what was called “Creature Double Feature” on TV. Godzilla, Rodan, Mothra…Anyways I digress. All of the favorites from Anime and Hollywood are here; although their names have been changed I believe to avoid copyright issues. King Kong is now a mechanical Cyborg called The King, Godzilla is now Giga Zaur, there is The Kraken to cover the ocean realm …to name a few. Basically the game play consists of players controlling a monster and set about trying to destroy more of the city than their opponents and each other. This pretty much sums up the aim for players in King of Tokyo. Enter Tokyo and destroy it to earn VPs and attack the other monsters to either take them out or keep them down long enough to allow you to win. Last monster standing or first to reach 20 VPs is the King of Tokyo! I think this game would be great for a family or a filler game for a game night. I can see my kids enjoying this, since I got them into watching the old Monster movies of my hay day. Anyway I hope you enjoyed this short review and thoughts of King of Tokyo. License Auction – players bid for available fishing license. Process and trade fish – Process your fish, to do this you need a license (hopefully in your hand), players with the licens take one fish crate from each boat that have fish. Trading can also be done in step by removing the crate from the game for the benefit of drawing a card. Draw cards – All players end the current round by drawing a number of cards and the start token is passed to the next person. The Game ends when there are not enough licenses to fill all empty license spaces, the game will end at the end of the current round or the game can also end at the end of the round in which the last Fish Crate is taken from the supply. Points are scored for the number of fish , awards on license, boats and bonus point for king crab license. Is certainly high and this is a great family game, I can see my wife crushing me in this game. I do think it is better with more than just 2 people due to the bidding aspect of the game, but would still be enjoyable with 2 people. The game is pretty easy after a few plays, it has great quality components and art work. At first the theme seem a little strange , a game about fishing…But overall this is a pretty nice little gem of a card game. This is a Chad Jensen , the same creator of Combat Commander. The maps are pretty basic/functional they look like the combat commander maps if you are familiar with those. They are double sided. The counters are pretty clean and functional. Over all I like them. The color rule book is awesome, it’s clear and conciseness. It has pages of example game play. The track display is made of heavy cards stock it contains the order matrix and the initiative track, all in color. The wooden cubes and the pawn are what they are wooden cubes and a pawn. In this section I’m just going to point out what I really like about this game. The one thing I like about this game is there no fixed turn or sequence of play but a new initiative based sequence of play. There is an order matrix, which is a chart with one side belonging to the German side and the other side belonging to the Russian side. There is a column down the middle where order cubes are placed based on the scenario setup and once used up is re-seeded. There is also a sliding initiative track/scale for the German and Russian side which is effective by the initiative based sequence of play. This is the way you command/order your forces which is fixed into the design of the order matrix(the initiative based sequence), resulting in an irregular array of the effectiveness of leadership for the opposing forces. The player may conduct the order listed beside the cube, or any order lower on the “scale” of orders on the chart. This permits give at the cost of initiative – you can take a high initiative order to conduct a simple move order (lower on the “scale”), but the cost is enormous to just take that high initiative from the opposing player. This causes the players initiative to shift/move over the opposing players side of the initiative track/scale. There is also a cost of command ranging from 0,1 or 2. Within in zero radius there is no extra cost. 1 initiative is if your are within a friendly radius command marker, 2 initiative if you are outside a friendly command marker. There are other cost to initiative such as for example radio less Russians tanks, where there initiative cost is doubled for moving. At the end of the command/order, if the initiative pawn is still on his side of the initiative track/scale, the player may take another cube and carries out the order. If it has landed on the opponent’s side of the track, the opponent takes a cube and conducts an order, and so on. This continues until all the cubes are gone, at which point a short end of turn sequence is conducted and the order matrix is “re-seeded” by randomly rolling for new orders. The other thing is like is the dice. Not the actually dice but how what type of dice you get to roll. The dice range from 2d6 > 2d8 > 2d10 > 2d12 > 2d20 sequence. The base dice you roll is 2d10, but the can shift either way depending on various cases. Also If either of the attack dice shows a number equal to or less than the hindrance/terrain of any hex being fired through ,the attack immediately fails, there is a also default hindrance of 1, so anytime a die shows a 1, an attack fails. There are other things that make this game pretty neat, such as reaction fire, Melee, Artillery and air support, oh and Asset cards that can be played as a reaction. All in all, this is a pretty neat game with a unique initiative mechanic and great components, excellent laid out rules and in my opinion great fun to play, with many replays of the 10 scenarios. Maps are card thick card stock printed on both sides. Although I think the hex size could have been bigger, it seems crowded once you put the counters on the map. This is not a show stopper, just an observation. Counters are thick and large, easy to handle. Very readable. Scenarios are in a book format, I would of like cards. (btw, You can download the scenarios and put them on your own cardstock). Scenarios are balanced and offer interesting puzzles to solve. Replay ability is high. Rule book is well laid out and offers programmed instructions, meaning STOP here and play scenarios 1 and 2 and when you are comfortable read the next section. Dice is 10 sided, nothing relay special here. One thing that need to be said here is that when your read the rules, you must throw out any other war game rules that you are familiar with, It will mess you up if you don’t. The first thing is the game uses no IFT (infantry fire tables) such as other war games. The game uses a unique varying degree of a suppression system mechanic. By which a unit can perform an action by taking a morale check, the more suppression you unit takes (reduced morale) the less likely they will perform. So it leaves that un-sureness that you unit might be able to do something in there turn. I find this suppression system very neat and unique. The other this that is pretty neat is that if a unit want to opportunity fire on a moving unit it has to take a proficiency test, different from a morale test, that is a dice roll. There is also a conceal and decoy system. The conceal come into play for unit that are in say a building, so a conceal counter is placed on it, there will be negative modifiers for a unit shooting at them. The Decoys come into play based on the OOB for the scenario, these act like units, they move around and get shot at causing them to be revealed. I think the main thing about the game is that you need to fire and maneuver and spread out your units. This one too I thought would be another hit with the family. What makes this a bit more fun is that you get to roll all 13 dice to start off with! The one other thing I’d like t point out is my children were able to better recognize chickens, cows or humans. Repeating this again, replay value is huge and is easily brought out at parties. – Rule book is in a color, double sided little sheet of glossy paper that fits inside the stowage cup. – Dice are black with cool engraved symbol representing tank, death ray, human, cow, and chickens. -There are 13 dice. Each dice face has a one tank, death ray, human, cow, chicken. – Container has a cartoonish cover art and can be used to roll the dice. Super Easy! Roll all 13 dice. Set aside the tanks, from the remaining dice set aside one type, which is a human, cow, chicken or death ray. One thing is you can’t choose the same type you choose before. Death rays can be set aside to offset the number of tanks, otherwise if there are more tanks than death rays you will not score when you are done rolling dice, so make sure your death rays are greater than or equal to the number of tanks. If you can’t set aside any dice your turn ends and you move onto scoring or you can choose to end your turn and score. Scoring is pretty straight forward, 1 point for each, human, cow, chicken and an extra 3 point if you collect at least one of each human, cow, chicken. The winner is the first player to reach 25 points. So this is a neat little dice game, my kids loved it of course; it was one of dad’s games. My wife liked Martian Dice a bit better then Zombie Dice, since she wasn’t rolling all shot guns 3 times in a row. Over all either game is a win win! I was at my local gaming store to pick up some paints for my miniatures and I picked up Zombie Dice on an impulse waiting in line at the cash register. I figured my children and might enjoy it. So we played that night. The kids were excited to play a new game that had cool looking dice. They are young, so I didn’t explain to them the whole zombie thing and shot gun blasts were strikes. We played several rounds; my wife was feeling left out, since she kept rolling 3 strikes every time she picked up the dice to roll. My children liked the fact they could pick 3 dice and roll them, I put down a dice rolling tray, so dice where hot being thrown all over the place. Overall everyone enjoyed this little distraction of a dice game with a neat little theme. This is pretty straight forward, replay is huge. It can play with any number of people. – Rule book Are in a color, double sided little sheet of glossy paper that fits inside the stowage cup. – Dice are black with cool engraved symbol representing Shot gun blast, brains, and foot prints. There are 13 dice. The breakdown of the dice is as follows. – 6 Green dice with – 3 Brains, 2 Footprints and 1 Shotgun blast. 4 Yellow dice with – 2 Brains, 2 Footprints and 2 Shotgun blasts. – Stowage cup is a sturdy colorful card board tube with comic like zombies on the label. It has a plastic end with a tab to open it. The cup is also used to draw the dice out randomly. Super easy! Draw 3 dice roll them. Keep brains and shot gun blast aside. 3 shot gun blast ends your turn and you score no points. Your goal is to collect as many brains as you can before getting 3 shot gun blast. This make the game neat in that you have to decide if you want to keep pushing your LUCK and try to get the most brains before being blasted by the shotguns. Now the thing is the last player has the advantage, but no biggie it’s a light fun game of brain eating! Although the stowage/draw cup is cool, it gets a little taxing on the hand to draw the dice out of it, so I recommend that you put them in to draw from instead. So overall this is an inexpensive little press your luck filler game that involves all the players on who will collect the most brains! Let me start at the beginning. In 2003 a new miniature games came out called WarMachine. It is a steam-powered miniature combat table-top miniatures game published by Privateer Press. The games premise was that you took on the role of an elite soldier-sorcerer called a warcaster. The warcaster and his army is a formidable force on the battle field, but the coolest ability of a warcaster was to magically control and coordinates the action of their mighty steam-powered combat automatons called warjacks. So for some time I was content with WarMachine, it was cool and everyone was playing it. Then in 2006, Privateer Press came out with Hordes. This is where I drop WarMachine and started playing Hordes. The cool thing about it was 100% compatible with WarMachine. I was totally drawn in with the whole monster thing. In Hordes Instead of warcaster you are powerful warlock that draws power from there beasts instead of controlling warjacks. As a warlock you take control of fierce warriors and monstrous warbeast. Force them to do you bidding in the battle field. Push them too hard and they can turn and frenzy. So now we come to 2010, Hordes Primal MK II and my review. Hordes Primal MK II is a reboot of the original Hordes rule book. It has some minor rule and point value structure changes. Well there is a ton of replay value, with different missions and 5 different factions and with it 100% compatible with WarMachine and different point sized battles the replay value is endless. Well it’s a rule book. The Hard cover is beautiful. It has a glossy hard cover and full color pages. It is well written and has lots of examples of game play. The soft cover is beautiful too and the same as the hard cover but just in a soft cover. –	248 pages and full color. –	History of the nations of western Immoren. –	Detailed profiles and rules for the powerful warbeasts and soldiers of the Trollbloods, Circle Orboros, Legion of Everblight, and Skorne. –	Instructional painting and hobby guide. The Hordes game is not very complicated, but the strategies are. Don’t let this stop you from playing Hordes. It takes dedication and figuring out which combinations of warlock and warbeast work the best together. The combinations are many and diverse. This in my opinion makes the game clean. It also makes you try new things. So if you like trying to figure out new strategies and combinations on how different warlocks and warbeast work together then this game is for you. Also, add in that every time you play the battle field and the opposing army is always different. Then Hordes is for you. Hordes table top miniature game is a lot of fun and it has a degree of simple intricacy like no other miniature game. I would recommend this to anyone as their first venture into table top miniature gaming! One other thing I’d like to point out that this is a Rule book, along with that there are miniatures that will need purchasing, assembly and painting. You’ll also need dice, 6 should be enough. A tape measure and a 4 ft by 4 ft playing are with some terrain that you can buy or build yourself. So in a sense this makes the games even more satisfying as the simple intricacy. At first glance of this game I was on the fence, come on card driven, no dice. So I turned away from this for awhile, until one day I went to a convention and watch two guys playing it. They let me play it, and then I was hooked. What make this a cool game are the cards. Why I say that is, CC:P puts you in the role of the commander, your scenario role (attacker, defender, etc.) dictates your hand size. Your nationality determines your discard ability. This represents your training and flexibility. The quality and quantity of your units determine how many cards you can play in a round. The other neat thing is each nationality has its own deck. Each deck has been configured for that nationalities way of operation. So that’s what I think that makes CC:P cool is that your hand of cards dictates you commanders capabilities. – The random scenario generator (RSG) that is included. There about 600 counters in all, packed with information and very legible. – 3 Decks of cards, 1 for each nationality. They are made of a heavy stock and glossy. – 6 double-sided 17 x 22 paper maps (twelve maps in total). The maps are very nice and the hexes are large, with this you can lay the counters side by side instead of stacking them on top of each other. – 1 32-page color rulebook. The book is very well laid out and organized well. – 1 32-page color playbook. This book contains 12 scenarios. Also contained is the random scenario generator and examples of play. – 1 Thick paper Track Display, used for keeping track of things like victory points and casualties. – Dice , wait there are none. CC:P is rated as a medium complexity and low solitaire suitability. I found that I did not have a hard time grasping the rules. There so well laid out and organized that anyone should be able to read and do a play along and be fine. Over all, with that said CC:P having a well-though out design, tense game play, lots of replay value and most of all total focus on being in the role of a commander makes this game one you should add to your collection. This is not the PanzerBlitz from the 70’s, but more updated system which uses many of the core concepts of the older panzer blitz, this is what I gather from the advertising and talk among other war gamers and game review web sites. I’ve never owned the original PanzerBlitz so I can’t compare the old to the new. What drew me to the game was not that it was a re-make, since it really wasn’t, but the map and counters photos were just stunning. The other part that drew me was it was a chit pull system for activating your units, something I hadn’t owned in my growing collection of war games. That thought of uncertainty what will come out of the cup. The price point for the game was excellent, so I figured I wouldn’t lose out. Also it has a medium rating for solo play; the chit pull system helps here too. So the replay value for PanzerBlitz in all aspect of face to face and solo play makes replay ability very high in my book. 1 22″x32″ map sheet, it’s a paper map and it is very well done and beautiful. I placed my in a poster frame. This makes it lay flat and I can then hang it on my wall. The map is also functional in that it has on it, the direct fire table, Terrain effects chart, Antiaircraft Fire table, direct dice roll modifiers, direct fire column modifiers and natural roll results, and last but least the direct fire table for range modifiers. So there is a lot of information right on the map. The historical map depicts Hill 112 and the surrounding terrain. It has depictions of town and cities, woods, streams, orchards; it also contains slope line to depict the hill slopes and different shade of green to indicate the height. 2 counter sheets, the counter are well done and very appealing. The game has over 300 counters all full color and very detailed. They contain pictures of the infantry, armor and ordnance instead of the NATO symbols. British counters are a light tan and the German are a light gray. 8 scenarios, I’ve only played scenario 8, 3 times solo. This particular scenario seems to be the one you want to start with first. Since it has a small unit density and map area that is in play very small. Now some of the scenarios have missing information, there is errata for the scenarios that are missing some of the information, but this did not make the scenarios unplayable. Scenarios range from 2 – 6 hours play time. PanzerBlitz rules, this is a 16 page paper stock black and white rule book. Now there is a lot of talk about how bad it was, but overall most war gamers and using common sense you can figure it out. There is an errata too and neither did’nt make the game unplayable. I can tell you that if this worries you, a new version of the rule book can be down loaded from MMP website along wiht the errata. Player Aid card, this is what it is a thick paper based double sided player aid, functional and useful. I wished that had put 2 in the box, one for each player. Two dice, a red one and a white one. There is nothing special here. The game is easy to learn if you have some experience with war games of this nature. If you’re thinking about getting this as your first war game, since it has a lot of value for the buck, I suggest you down load the version 2 of the rules and the errata. The game is rated for medium complexity, but don’t let this stop you. Start off with a small scenario such as scenario 8 and follow the sequence of play and follow up with a read of the rules and take your time. After a few plays you’ll be a pro. I found that this game is easy to teach once you get the rules down. And it’s always better face to face! Overall, this game has the right size and complexity to make it playable in one sitting with perhaps even multiple games in one sitting. Replay value I would say is high with 8 different nationality if you will, France, Russia, Britain, Spain, Austria, Turkey, Prussia and the United states. All the nationality have different strength and weaknesses. There are 24 map boards you arrange 4 randomly to create an 8×8 board. These have depiction of water, houses, trees, etc. So there is a great number of factors that make replay values strong in this game. The dice, 4 eight sided (blue) , 4 six sided (red) and 4 ten sided (green). 2 player aid cards, this awesome so each player can have their own when playing. 1 rule book , well laid out. 8 nationality cards (activation cards) consisting of 60 cards. These are pretty good quality. One note here is that they micro cards. The counters for the nationalities are thick and big and not too bad looking. There are 8 counters for each faction, 1 first player counter and 4 redoubt. For a total of 69 counters. It is very easy to learn, but with that said it has a lot of strategy and luck though. Attacks are made on two eight-sided, two six-sided or one ten sided dice, based on if you have that units card in your hand. The units card tell you what dice to roll and any bonuses. There is a large luck factor in the combat, but the decisions made are also crucial. Also, it can be of benefit to avoid conflict and maneuver your troops (hence the name of the game) to go for control. To win you either eliminate 5 units or if you control more of your opponents side of the battle field at the end of the day you win. End of day occurs when you both players draw there last activation cards. As I noted above each country plays differently, other than the United States most cards are balanced. You can win with the United States, but you need to play a hit and run type of game. I got a chance to play this with one on my friends who owned it. We played 1 three player and then 2 more one on one games. We all had a really fun time playing this. This is Richard Borg game the same guy who did Battle Lore, but the difference is that you roll a set number of activation dice based on the scenario to see which one of your miniatures (called links) gets to activate or draw cards. I have to say I really liked the game and playing with the right kind of person makes the game a lot of fun. There are a number of one on one and multi player scenarios in the book, I forgot how many. They are all different and have different mission requirements. I can see that you and fans could probably come up with scenarios. So I see reply value very high for this game. Well the board is pretty good. The weapons cards are ok, one thing is that they should have been the small sized cards, since you lay them on the board to indicate which direction you are shooting at. The terrain pieces are ok, they have no function in game play except for blocking LOS. I think in future scenarios/expansion they will be used for mission objective and/or bonuses. This is only a guess, since there are 3 type of terrain, forest, city and Town I believe. The activation dice, well they are dice, although you have to stick the stickers on them. A bonus is that they give you spare stickers. The combat dice, well they are dice. But are color coded to the links (miniatures) that should roll them when resolving combat. The miniatures, well this is where I think most of the production monies went. They are awesome and very detailed. They have a sticker that goes on the back of their base to show there stats and it is color coded to which face of the dice activate them and which combat dice to roll. The font of the base holds the chits for their life value (crystals), take a hit remove them. It also serves as a place to put square chits to remind players that the miniature (link) has a special effect on them. The chits are good and thick, they are 4 color crystal chits to represent which player miniature (links) belong too. There are special square effects counters that indicate what effect are on the miniature (link), they all have a tab so you can insert it into the front of the base of the miniature. Game play is pretty straight forward. 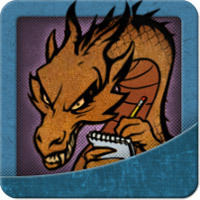 Roll your combat dice, the attackers lays out his weapon cards to target the defending player. Once the attacker is done the defending player lays down his weapon cards to defend. Then these cards modify the dice rolls for the attacker and defending player to determine the results for the combat. Also depending on the results of the rolls things can often go wrong, which are represented by the wild fire cards. It a fun game! Price point is high, but It pretty much for all the plastic in the box. With 2 or 3 players the game is still fast to play. I’ve not tried a 4 player game as yet. Overall if this was brought out again I’d defiantly play it ! Each game is different when you build the wilds in the center of the table. So each game is different than the last. Collector tin, very neat! All the game components fit back in the tin. Glory cubes , pretty standard , the colors are so dark and close in color for black, blue, green, that I sometimes move the wrong cube on the glory track. This game is pretty easy to grasp and setup and plays very fast. My wife and daughter love and constantly want to play, just to roll those pretty dice and of course crush me. They pretty much can read the cards and ask little questions on how they work. Well it pretty cool and fun mindless little game and it bring the family together. What more could I say! One of the things see for A beginner player is the mistake to use the Command Point (CP) sparingly or not at all. Using your CP is useful in three situations for the attacker and four situations for the defender: use a unit first, a second final op fire, a melee/prof check, and in melee. If the turn is running out and you don’t foresee needing your CP for any more of these purposes, use them as fast as you can, so you can get them back every turn. There is a rough draft of the version 3.0 rules at ConsimWorld. If you going to Advance into melee, be sure to have an Ambush or two and some Bayonets in your hand. Moving under fire can be bad, but if you have Revives in your hand , moving under fire can be a good strategy for moving under fire. Keep attacking disrupted units, being disrupted and getting shot at again could lead to a DD result, which cause a step loss. Remember disrupted units cannot observe for indirect fire, So try to keep enemy units disrupted. If you think they are weak ? Do you, well if you get them into position next to a link , that link cannot engage in rage attacks, only hand to hand combat. So for example move your infantry squad next to a Link, and then engage it with one of your Links, the Link that is engaged with the Infantry Squad will not be able to play any range/attack cards against you range/attack cards. Remember that Panzerblitz: Hill of Death rule book is series rule book. So in the rule book it calls out city and swap terrain, but in essence there is NO city or swamp terrain in Hill of Death. The stowage/draw cup can be taxing on the hand, since it has hard edges, So replace it with a dice bag for drawing the dice. The bag can easily be stuffed into the stowage container. Keeping the game still portable. Add in a dice tray. This will Make it easy for rolling the dice and it can be passed around when you have lots of people playing. One thing about CC:P is that the maps are double sided, I worry that the side that not being used when playing a scenario might get damaged. So I like to put mine in a 18 X 24 top holder. I’m not sure if I can put an external link but if you search the internet for “18×24 top loader” there should plenty of places you could order a pack from. Try using a dice rolling tray, this will keep all those rolled dice from going everywhere! Try using a 14 X 14 board with a starting location of 5 squares in and 5 squares from the starting corner. My wife and I found this better for a 2 player game instead of playing 2 colors each and the games goes a lot faster. With the starting location closer also makes it so you’re in each other’s face right off from the start. Start with scenario 8, it has a low unit density and uses a small portion of the map and just follow along with sequence of play. Place the map in a poster frame, there cheap and will protect the map and keep it flat, and as a plus you can hang it on the wall. My wife and I only cull one creature. So even if you scored 3, you can only cull one. I just looked over the rule, I’m very intrested in trying this game out. I'm an avid war gamer, I enjoy Advance Squad Leader the most, but I'll play mini, card, and board games when the chance arises.